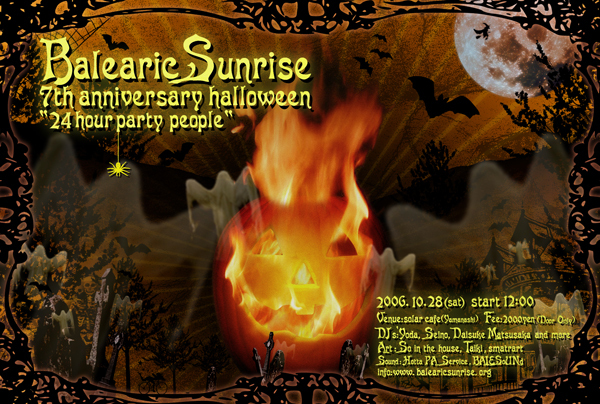 7th anniversary halloween party "24 hour party people"
2350 broadway 3 namlook(2350 broadway 3) - morning spirit. Nova Nova - Close Of Day. Ashra_New Age Of Earth Deep Distance. Global Communication_7614 8 07 (Maiden Voyage). Harold Budd_Abandoned Cities Rub With Ashes. Harold Budd_Abandoned Cities Widows Charm. Real Ibiza 3 Chilling You Softly_D1 Song For Olabi. The Irresistible Force_Global Chillage Moonrise. Polygon Window_Surfing On Sine Waves If It Really Is Me. Polygon Window_Surfing On Sine Waves Quino - Phec. Electronic Planet Vol.3 - East Edge Sampler Spiral Castle In The Air ( Gaia Edit ). Aphex Twin_Selected Ambient Works Vol 2 (Disc 1) Cliffs. Aphex Twin_Selected Ambient Works Vol 2 (Disc 1) Rhubarb. "Aphex Twin_Selected Ambient Works, Vol 2 (Disc 2) Lichen." "Aphex Twin_Selected Ambient Works, Vol 2 (Disc 2) Z Twig." "Aphex Twin_Selected Ambient Works, Vol 2 (Disc 2) Blue Calx." Pavilion of Dreams Two Songs_ 1. Let Us Go Into the House of the Lord 2. Butterfly Sunday. autumn Namlook(Autumn) - Pts. 1-12.
reflections on reflections 08 - russ gabriel - shambala. reflections on reflections 09 - urban tribe - moon over the moab. sylvain chauveau & ensemble nocturne - down to the bone ('05) 10-never let me down again. sylvain chauveau & ensemble nocturne - down to the bone ('05) 01-stripped. sylvain chauveau & ensemble nocturne - down to the bone ('05) 11-enjoy te silence. 08 arcadians - lolitas back in town. durutti column - experiment in fi. young marble giants - ode to book. antena - seaside weekend (1983 mix). wim mertens - the scene. john cal - antarctica starts here. gavin bryars - my first hommage. Saint Etienne - Former Lover. Saint Etienne - Hug My Soul. Saint Etienne - Like A Motorway. Saint Etienne - On The Shore. Saint Etienne - Marble Lions. slowdive - blueday ep 1992 06 - slowdive - shine. souvlaki - good day sunshine. vince watson - moments in time [alola lp 06] a1 vince watson - out of the deep. vince watson - sublimina 01. refract. vince watson - the knowledge seed. marc collin-nouvelle vague - this is not a love song (public image limited). mojave 3 -some kinda angel. the black dog - raxmus. the black dog - nommo. the black dog - pot noddle. the black dog - chesh. the album leaf - the light. the album leaf - wherever i go. the album leaf - broken arrow. album leaf (the) - on your way. album leaf (the) - the outer banks. album leaf (the) - over the pond. album leaf (the) - another day. 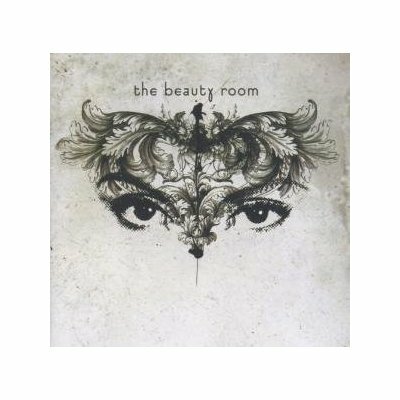 the beauty room - burn my bridges. the beauty room - those days. DJ Food - The Dusk. depeche mode - goodnight lovers.